When will be Meet the Putmans next episode air date? Is Meet the Putmans renewed or cancelled? Where to countdown Meet the Putmans air dates? 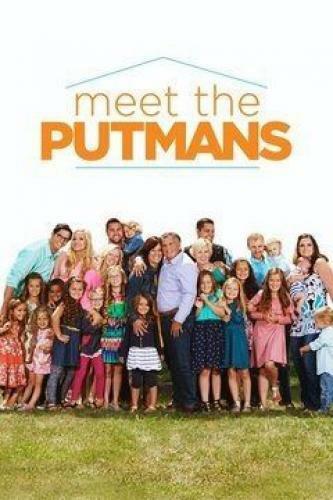 Is Meet the Putmans worth watching? Bill and Barb Putman seem like they have an average American family. They have been married for 34 years, have four great kids and love to spend time with their grandchildren, but their still-growing family does things a little bit differently. This 25-person family lives under one roof, shares two bathrooms, pools all of their finances, and helps raise all of the kids as one family unit. Each episode will not only detail the little things that test this large household, but also highlight those extreme "for better or worse" moments they experience as both couples and a family. Blair's recovery at home leaves her torn between family and her husband Jamie; Bill's health reaches a critical boiling point; the Putman men celebrate a bittersweet milestone with their first ever Daddy/Daughter Dance. Meet the Putmans next episode air date provides TVMaze for you. EpisoDate.com is your TV show guide to Countdown Meet the Putmans Episode Air Dates and to stay in touch with Meet the Putmans next episode Air Date and your others favorite TV Shows. Add the shows you like to a "Watchlist" and let the site take it from there.